Akumal is truly a gem in Mexico’s 10,000 kilometers of coastline. Situated 62 miles south of Cancun, halfway between Playa del Carmen and Tulum, the charming and picturesque little town of Akumal features some of the most stunning beaches on the planet. 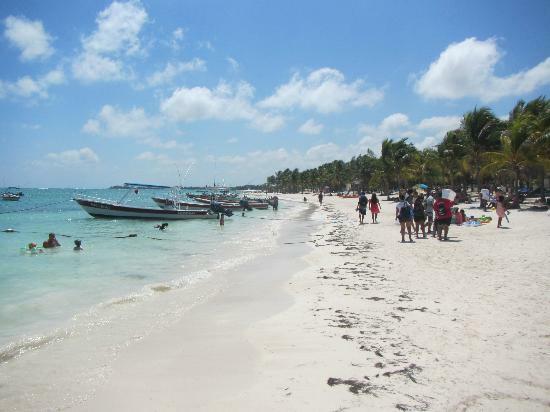 It does not come as a surprise then, that recently, when the popular travel website, TripAdvisor announced the results of the 2014 Trip Advisor Travelers’ Choice Poll for Top 10 Beaches in Mexico, Akumal was featured on the second spot! As opposed to some of the other Riviera Mayas beach destinations, the waters around Akumal beach are comparatively clearer and feature healthy coral reefs that make for some fantastic snorkeling sites. In Half Moon Bay and Yal Ku Lagoon, snorkelers can find a plethora of underwater adventure. Snorkeling gear is easily available on hire at the Akumal Dive Shop, located at the main road while entering Akumal. A wide expanse of Akumal’s magnificent beaches surrounds “Las Bahias de Akumal” – a string of five bays. Starting with North Akumal Beach and ending at Aventuras Akumal to the south, all of these bays are fantastic for swimming, snorkeling, kayaking, diving and beach combing. Akumal or the “Land of the Turtles” is one of the favored spots for sea turtles to lay their eggs. These turtles can be spotted on Half Moon Bay between the months of May and November. Once a secret, the peaceful town of Akumal, with its white sand beaches on the warm blue waters of the Caribbean Sea, has today emerged as a popular beach destination in the Riviera Maya and is perfectly suited for those who are on a lookout for an unhurried Mexican beach vacation that still has plenty of activities to offer. How's Akumal weather in May?